From M1: Leave the M1 at Junction 19, where you exit onto M6 Northbound as far as Junction 1. From Junction 1 M6, take the A426 towards Rugby. Continue straight over the next four roundabouts until you reach the traffic lights outside the “Junction 1 Retail Park”. Continue straight over these traffic lights and proceed to the next roundabout where you turn left onto Newbold Road. Follow the road under the bridge and turn left onto Wood Street. Continue along to the end of Wood Street where you will turn right onto Railway Terrace. 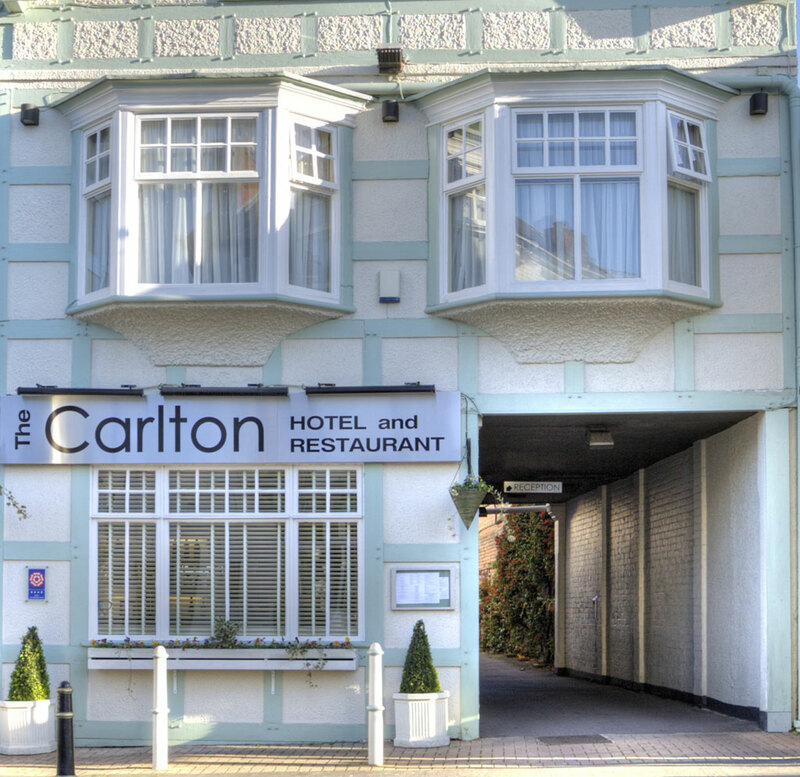 The Carlton Hotel is about 350 yards on your left, opposite Albert Street. From Rugby Station: Exit the station via the pedestrian tunnel, and turn right onto Railway Terrace. Follow Railway Terrace around to the left and continue along. The Carlton is about 400 yards up on your left. From the Town Centre: From the Clock Tower, head along Church Street, past St Matthews Church. Continue along Church Street until you arrive at the traffic lights at the top of Railway Terrace, then turn left onto Railway Terrace. The Carlton is just 350 yards up on your right, opposite Albert Street. The AA and RAC can provide detailed maps and journey descriptions to help you plan your route.